Experience flavour and decadence with our gourmet cookies. 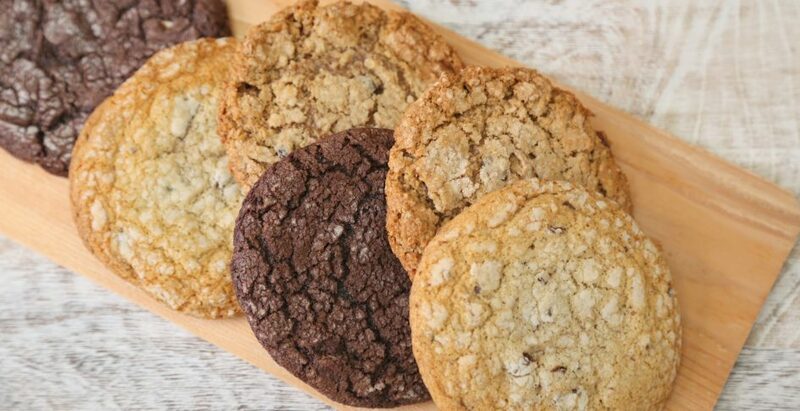 Available in a variety of flavours including Chocolate Chunk, Oatmeal Raisin, Peanut Butter Chocolate Chip and Dark and White Chocolate Chunk. Comes in two sizes: small (50g/1.75oz) and large (100g/3.5oz).